A woman and her two children died in a fire at a refugee camp on the Greek island of Lesbos, Greek media report. ATHENS (Sputnik) – The fire erupted on Thursday after a gas tank explosion that occurred while the woman was preparing food at her home in the Moria camp, Skai TV said citing local police. Police have confirmed the death of the 25-year-old woman and her two children, a four-year-old and a six-year-old. Eight other people were injured in the fire, according to preliminary information. Lesbos is estimated to host over 5,900 migrants and refugees, while the island’s camps have a total capacity of only about 3,500. 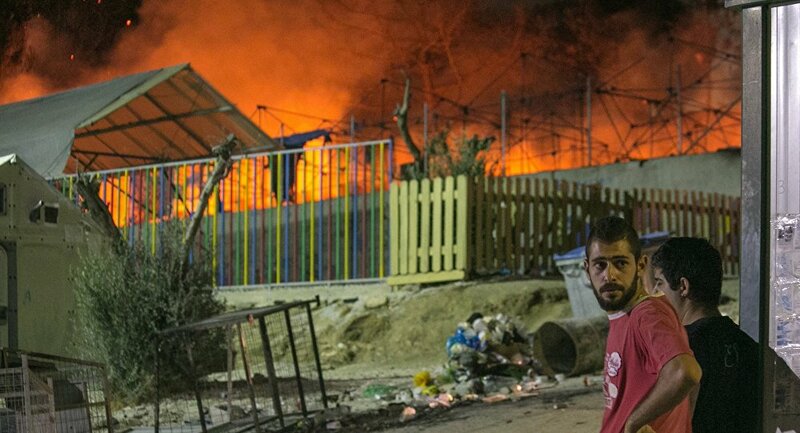 The Moria refugee camp has become notorious for multiple incidents of unrest and fires. In October, asylum service buildings were set on fire at the camp amid refugee protests. Greece is the main transit point to Europe for migrants coming across the Aegean Sea from Turkey. While many migrants are refugees, fleeing the conflict-torn countries of the Middle East and North Africa, some want to reach Europe in order to receive relatively high social benefits.